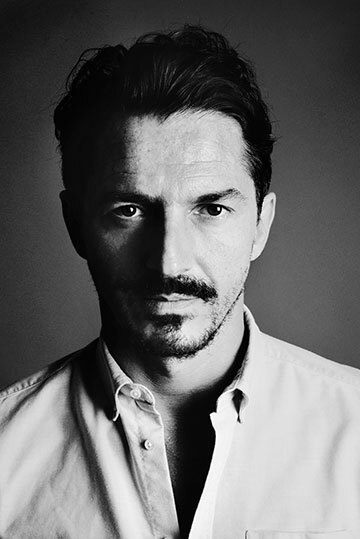 The German industrial designer Christian Haas began working in Munich before opening his Paris studio in 2007, a move that would extend his personal and brand portfolio through multiple disciplines from lighting and glassware to furniture and interior design. Four years later he launched the Christian Haas collection, further extending his design sensibility where subtle linear and colour elements are layered for elegant trompe l’oeil effects. It is his experimental space, whilst projects for design houses from Villeroy & Boch to Volkswagen continue to exhibit a seamless blend between the classical and contemporary. 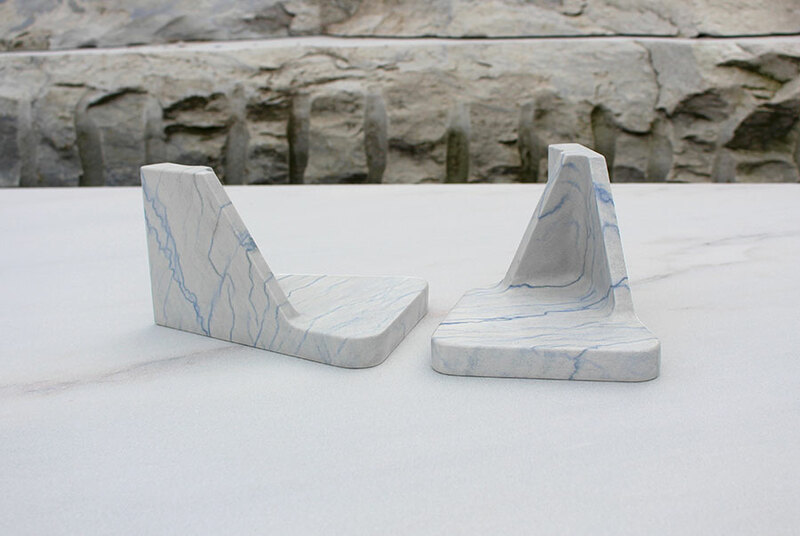 Seemingly both monumental and featherlight all at once, Haas’ proposes “Vague”, a set of sinuous and linear marble objects inspired by undefined structures that act as mirrored twins. 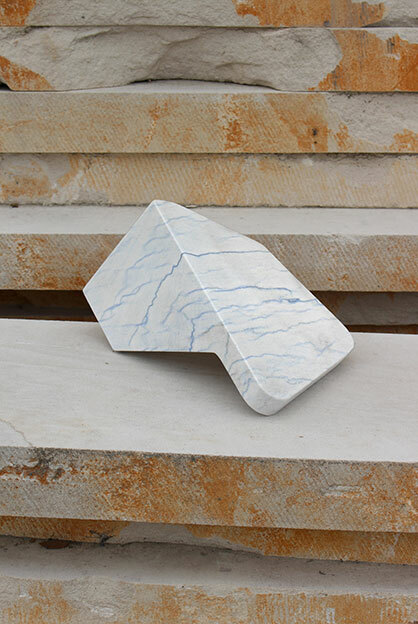 The rare and precious stone he chose is Blue Macauba, a stunning Brazilian quartzite known for its delicate and refined tones that evokes the image of blue ink dripping into water. 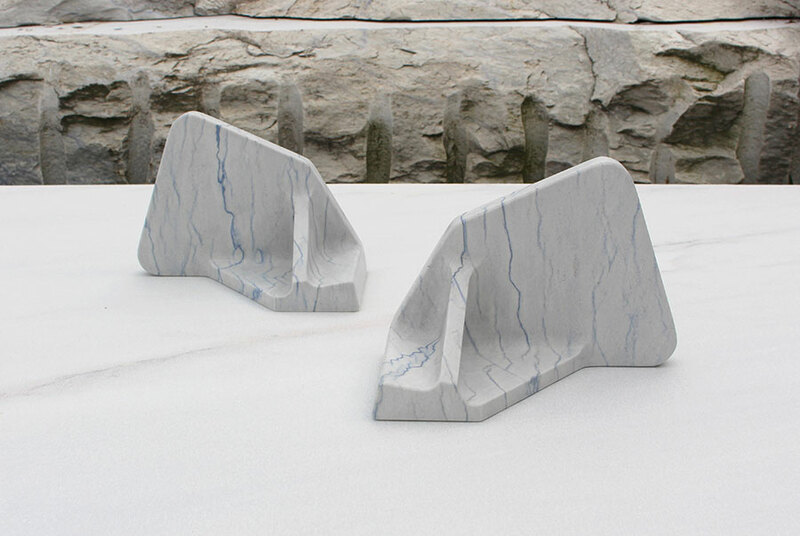 The aquatic wash over cloudy grey stone is an abstract echo of the Siwilai wave pattern, which evokes Bangkok’s Chao Phraya river.